On the flight from London I’m not sure if our ears were ringing from the cabin pressure or as residual from the deafening jungle drums in Heathrow – no matter. All calmed down and the flights were fine, despite only findingJapanese noodles in Beijing. Jingjiu and baijiu in a private dining hall in the hotel introduced us safely to delicious Chinese (but not proper Fuzhou!!) cuisine. In the morning we ha a training session in their Presidential suite (reputedly not all in the sauna) while some people caught up on sleep. After an excellent REAL Fuzhou lunch, in a fit of benevolence, Dennis then agreed to accompany Agent C to the afternoon’s meeting by the competition organisers, leaving us to explore the old quarter and barter for the best incense at the cheapest prices (not sure how well that worked). 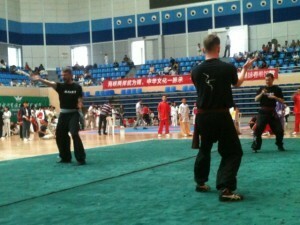 Saturday: competition day dawned! Nothing went wrong, apart from minor details like us finding out at the eleventh hour that we had ten minutes to pack and check out, and there not being enough space on the bus provided. Those who caught a cab travelled at eye-watering speed while the driver juggled to see how many phones he could speak into at the same time. Those on the bus advanced at a more leisurely pace while the driver stopped every quarter mile to ask for directions and make a u-turn. Amazingly we all ended up at the venue. Dennis watched us warming up for ten minutes and told us not to show too much – keep the powder dry for the main event! Then after most of a morning watching colourful silks swirling in the hall, Danil, Richard, Robin Hood and Will Scarlet marched off swinging their swords. Luckily the woman standing at the top of the stairs was quick on her feet. We did better than some: one of our competitors got half-way through, realised that leaving the name badge hanging around the neck can have dangerous consequences in sword pattern, and had to scamper forward to the judges to put it out of harm’s way. Fifteen minutes later and they’re back, in time for another photo shoot before lunch. I remember once being followed through a field by a herd of curious bullocks who were trying to sneak close enough to chew the back of my coat, but would scatter sheepishly if I turned. Why did this day remind me of that? The Artist was a popular beacon for girls calling, “hello”, Little B was asked how old he was every time someone caught his eye, and many admiring fellow competitors developed cricks in their necks as Danil walked past. Ten golds, three silver, three bronze, and we boarded the bus for Yong Chun tired but happy. FWC Cambridge student Dr Yevheniia Mikheenko outside the window of Sir Isaac Newton’s study at Trinity College Cambridge. The apple tree behind her is said to come from Sir Isaac’s estate at Woolsthorpe in Lincolnshire. 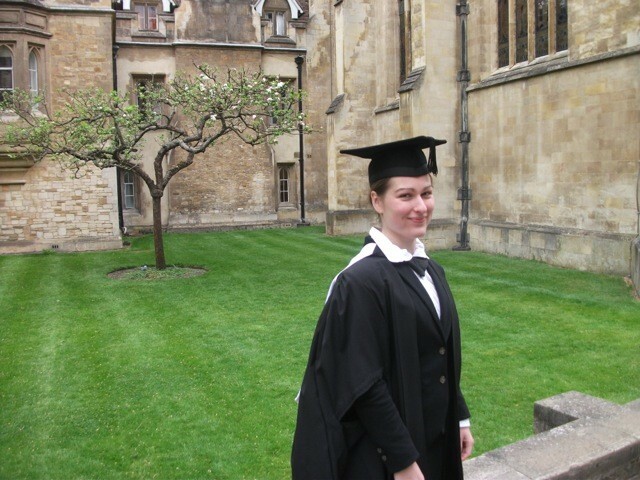 FWC Cambridge Student Dr Yevheniia Mikheenko has been awarded a prestigious 3-year Research Fellowship by Darwin College, University of Cambridge. According to the College, the Fellowships are for “outstanding researchers” to provide a formal, supported starting point for an academic career. Darwin may not be one of the more famous of the Cambridge Colleges, having been founded in 1964 by descendants of the famous Charles Darwin, but it was the first college established exclusively for post-graduate students. Yevheniia started training with FWC in 2009 whilst studying for her PhD, which was granted by Trinity College in 2013 at a time-honoured ceremony conducted in Latin. Whilst the initial focus of Yevheniia’s research was emotional resilience in elite sportspeople (her own is frequently put to the test by Instructor Karim Daoud and in Sunday sparring), it is apparent that her work has wider implications for how people in general handle stress and its impact on their physical health. The Fellowship is ultimately dependent on Yevheniia securing funding for her research, and given its potential for dealing with the modern curse of high-stress-living we hope she secures it, especially as the Fellowship has dining-in privileges (including occasional guests – don’t wear your tracksuit). We look forward to reporting further on this line of research, and will come up with a few (rather unscientific) tests of resilience in the meantime. Any volunteers? FWC does Sport Relief again! 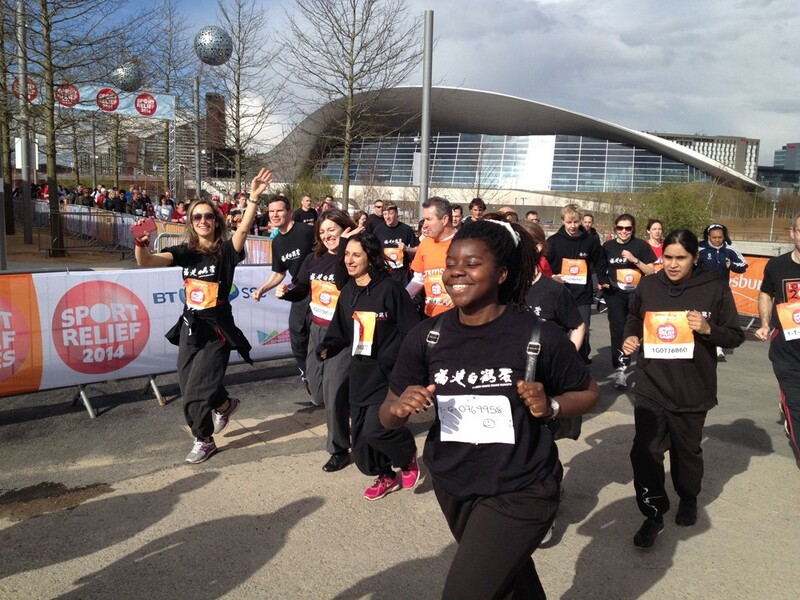 On Sunday the 23rd March, FWC students, organised and joined by instructor Dave, took part again in the Sainsbury’s Sport Relief Mile. If you’ve not sponsored the team, you can still do so at the FWC Just Giving page before reading all about their day. 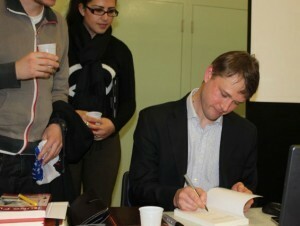 Danil Mikhailov, head instructor of the FWC Muswell Hill Club in North London, has just been elected a Fellow of the Royal Geographical Society. The title of RGS Fellow is reserved for people who make a contribution to the shared body of knowledge about the world, whether through scientific study, cultural research or exploration. Famous past Fellows included everyone from Livingstone and Shackleton, to Sir Edmund Hillary, while present Fellows include Sir David Attenborough. Danil’s Fellowship was awarded in recognition of his work in researching and writing about the culture of Chinese traditional kung fu. 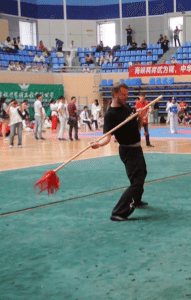 Danil has been one of the editors of Wushu Scholar Magazine for nearly fifteen years, travelling around China with Dennis, Sharon and the rest of the Wushu Scholar team to interview masters of rare kung fu styles. 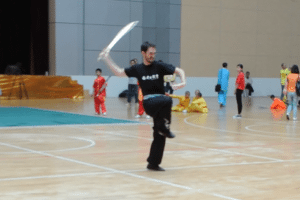 In addition to that, Danil has studied and written about the philosophical aspects of Chinese kung fu, building on his MA research at the School of Oriental and African Studies in London. 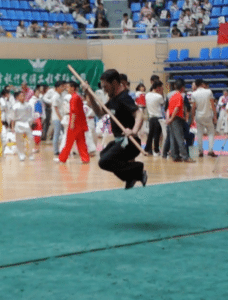 In 2012 Danil published his first book, “The History and Philosophy of Kung Fu: an Introduction”, to great reviews, and is currently planning his next book, about the connections between ancient Shamanic practices and kung fu. 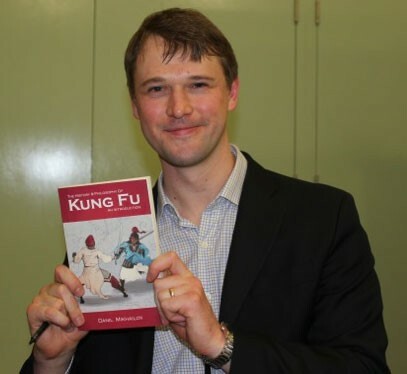 You can join Danil for his next lecture on the topic of “Morality and Kung Fu” at Claremont Hall in Angel on the 29th of March. 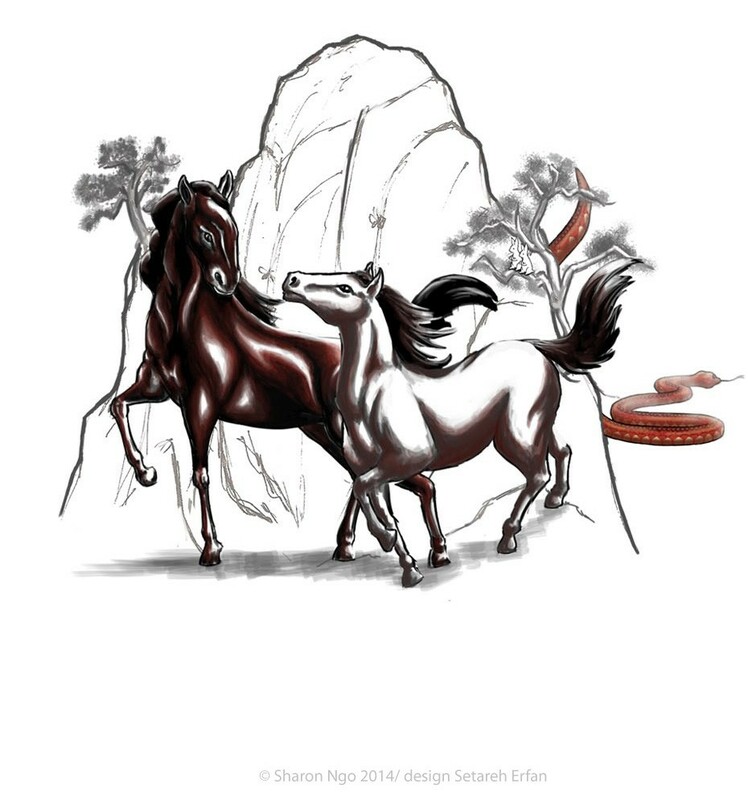 Best wishes for the Year of the Horse 2014! And don’t forget, all Members of FWC are invited to the Chinese New Year Celebratory Dinner on Saturday February 8th. Friends and family are welcome to join us in celebrating at the famous Joy King Lau Restaurant in London’s Chinatown. It has been a while since you last heard about our adventures, and rightfully so. A lot has happened, the world has changed. 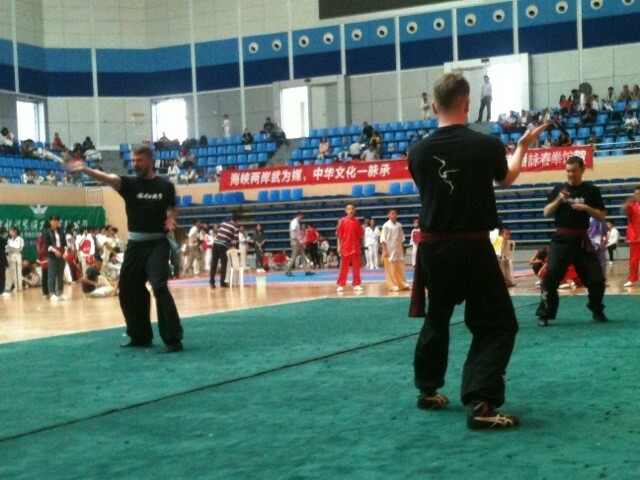 This entry is part 8 of 8 in the series China Trip 2013. 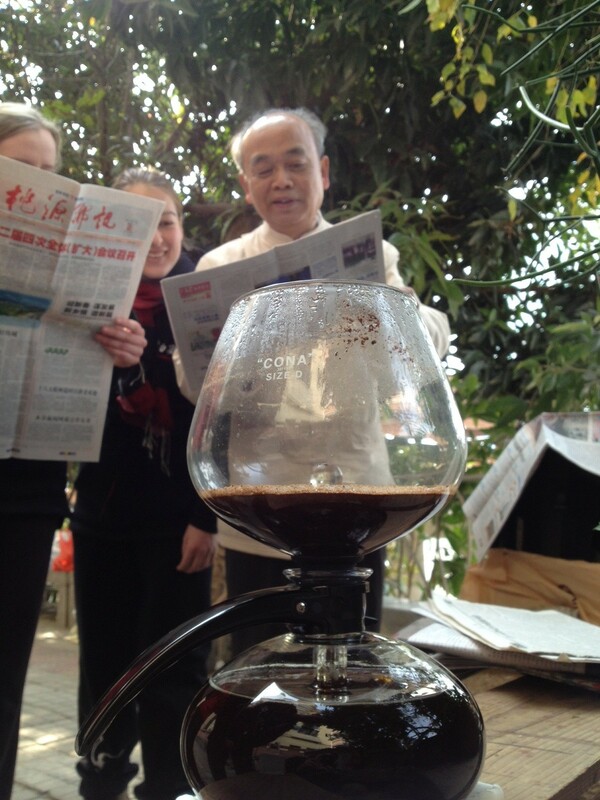 FWC China Trip 2013 – Christmas & Boxing Day! Went to breakfast to find santa hats and reindeer antlers – our uniform for today. 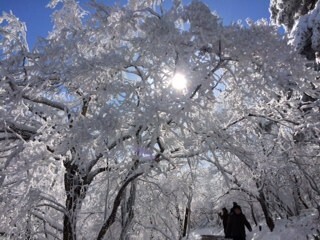 No white Christmas but plenty of warm sunshine. First pattern of the day recorded for posterity with us all in Christmas head gear. Lunch lovely as usual, quick nap and back out for the afternoon training session. Local photographer got interested in us, picture in the local paper anyone? Christmas dinner – plenty of mulled wine for an incredibly merry meal. A wonderful Chinese interpretation of the traditional western Christmas dinner. Plenty of goose, pork and even stuffing. Some interesting pictures of the more serious members of the group may have to be destroyed for public relations preservation. One particularly tasteful Christmas jumper was a favourite, can you guess the owner? Recovered from Christmas with minimal hangovers and back out to train. A few of us attempted to work on the tan. 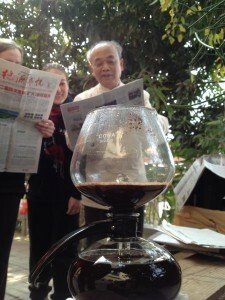 Some exciting coffee chemistry attempted at lunch. Training stepped up a gear with new patterns, exciting times ahead. Dinner polished off with a durian. After the adventures of the night before, the day kicked off with tasty dumplings and beef noodles in one of Shanghai’s greasy spoons. We then browsed one of the City’s fun shopping districts, great for last minute Christmas shopping, people watching and drinks from bars last seen in Swiss ski resorts. 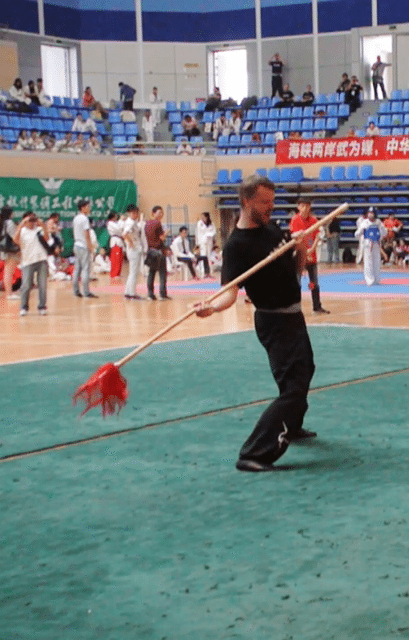 This entry is part 6 of 8 in the series China Trip 2013. So it is now 2.01 and we’re on a slow moving bus. The driver is rather upset about all the messing about trying to find us in the airport (we were where we were supposed to be – she had gone to the wrong terminal). In fact she was so upset she seemed to have forgotten how to drive the bus. This entry is part 5 of 8 in the series China Trip 2013. So New Year’s resolution will be, tidy garden, plant lettuce, and run for Parliament. That should get me a bit higher up the greasy pole. I digress. 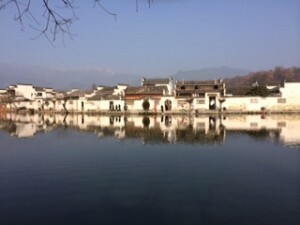 Right, the village was Hong Cun, and it was a mixture of the picturesque and the mundane. People still live and work there, though some of the old houses were open to the public. 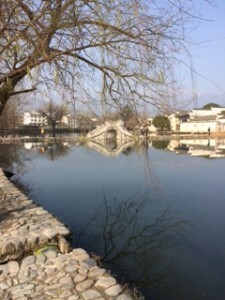 The first thing that you see is the bridge across the lake where Li Mu Bai leads his horse in the opening sequence of Crouching. It is impossible to get a decent picture of this because of the constant stream of people going over it. Not nice normal people, but tourists who have to stop on the cusp and turn around and have their picture taken making peace signs with their fingers. Oh well I’ll just have to buy a postcard. I did notice that the bevy of artists around the edge of the lake were filtering out humanity and just painting the buildings. Apart from the bridge, we were not told of any other specific places where filming took place, though the village square looked a bit familiar. Will watch film again to see what I can see. 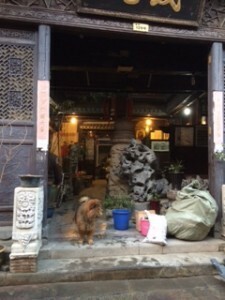 The houses are all of similar type, white walls with black tiled roofs, lots of round doorways and inner courtyards. Mr Obligatory showed us around the house of a wealthy member of the underclass (see above) with his various wives’ and servants’ quarters on display – we are so quick to forget the many career choices in the old days. The biggest single room in the house was the kitchen. After the obligatory lunch (not missing that again) it was back on the bus. We drive past a specially constructed “village” which is used to film martial arts movies but the bus driver wouldn’t let us off to have a go. 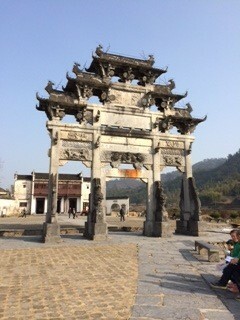 So off to another village to see real Ming houses and an archway. Apparently if you were nice to the Emperor he would let you have an archway. This one stands in the middle of the village open space for no other reason than to commemorate a local governor who did a good job 600 years ago. Nice carving, has stood the test of time, well done. We were subjected to the tourist spectacle of having to marry off one of the young men in our group to a local pretty, and once the sacrificial victim had been despatched we had a couple of hours to roam around. 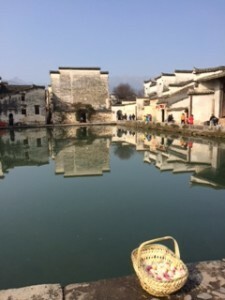 Pretty village, white houses, black roof tiles, lots of feng shui, bloody cold – see pictures. 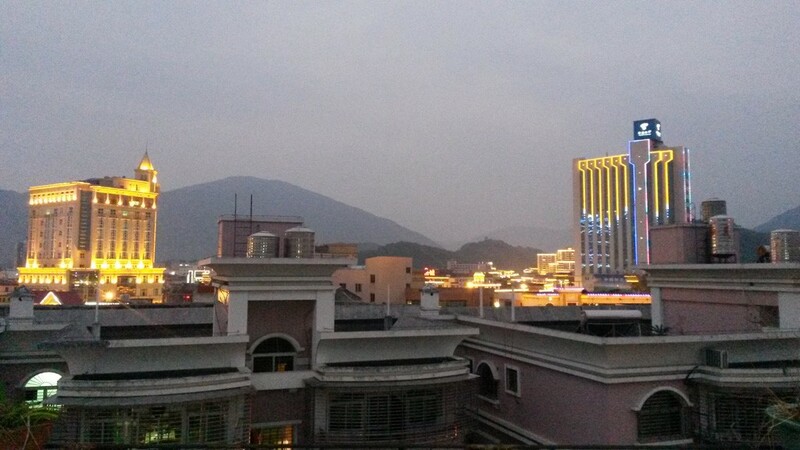 Off to Shanghai tonight- goodbye to rooftops you can run along, courtyards to issue challenges, and pavilions for drinking tea. Ahh the good old days. Oops just when you think it’s safe to sign off. It’s amazing where you can train – horse stance on a swaying bus at speed, one of our old friends (yes, we know you do it on the Tube in the mornings). This was competition worthy stuff. Then pick up luggage, sort out phone left behind on place, look for bus to hotel…..look for bus to hotel…….look for bus……no bus, bus lost, bus on its way, bus nearly here, bus driver incommunicado. OK plan B – everyone and luggage into queue for taxis…….oh bus driver back in contact – here in 5 mins…drag all the luggage back across the roads to wait for the bus. Hurrah – on the bus with all luggage. Slow start out of terminal. By now it is 2am, well below zero, and well past anticipated bedtime of 11pm. In fact it is now Day 5, so wait for next instalment.